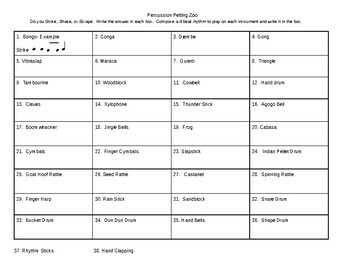 With this worksheet students will identify percussion instruments by name, learn correct technique to play- strike, shake, or scrape, and compose a 4 beat rhythm to play on that instrument. Students make work in partners or small groups. Also available is an empty template in my library.